This beautiful ring features a stunning solitaire princess diamond. 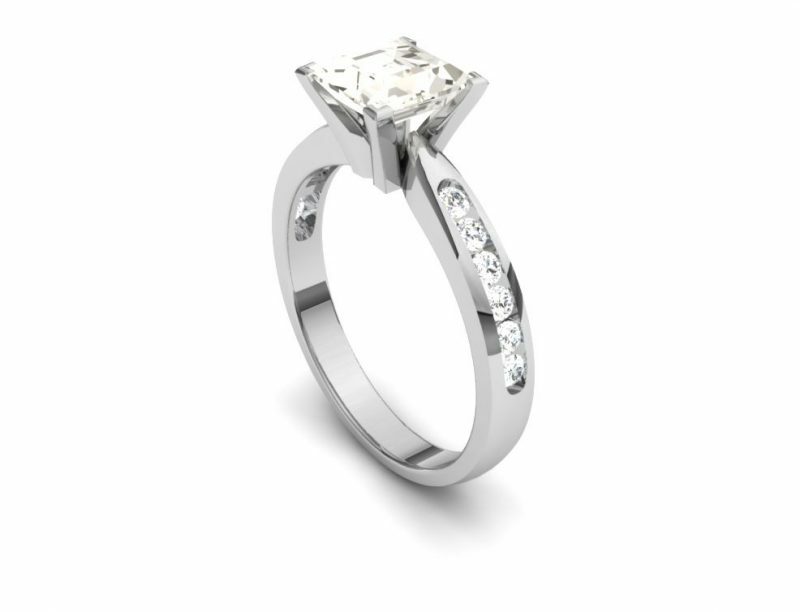 Secured with four prongs at each corner this jewellery piece would make for a wonderful engagement ring. The ring also features smaller, round cut diamond shoulders. The solitaire stone is then finished in a white gold or platinum band but can be made with any metal. For similar styles of rings take a look here and here. If you have any questions on this style of ring don’t hesitate to get in touch! We have helpful and knowledgeable staff that will be happy to answer any enquiries you may have. We also offer a bespoke jewellery design service, if you like this design, you can reference this and we can craft one in our on-site workshops.